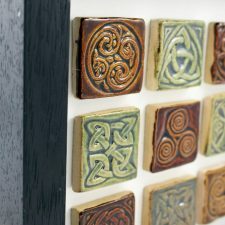 Quality Celtic tiny tiles, handmade from stoneware clay. 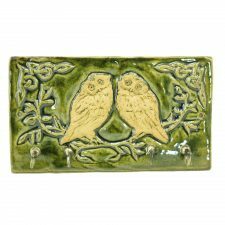 This is a beautiful collection of 9 ceramic tiny tiles, each with a different Celtic design and lovely colour combination. 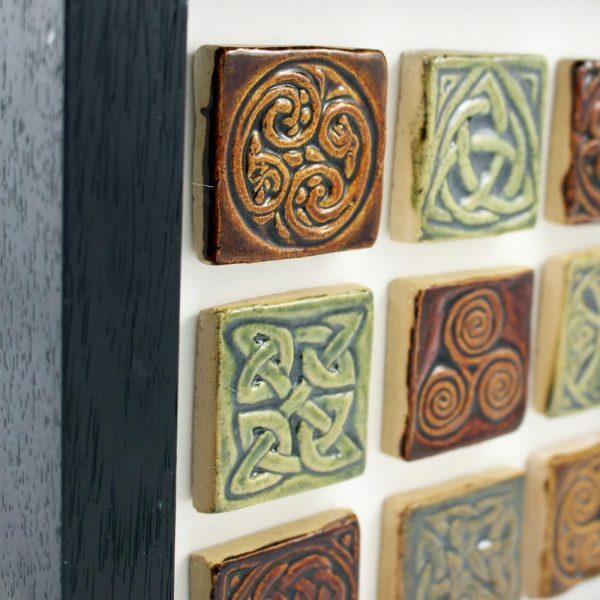 The colours represent the browns and greens of a typical forest in our beautiful Emerald Isle. Quality handmade Irish gifts to suit both traditional and contemporary homes. 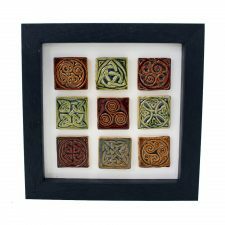 The following description on Celtic designs has been provided by Celtic Valley Ceramics and can be found on the back of the frame. 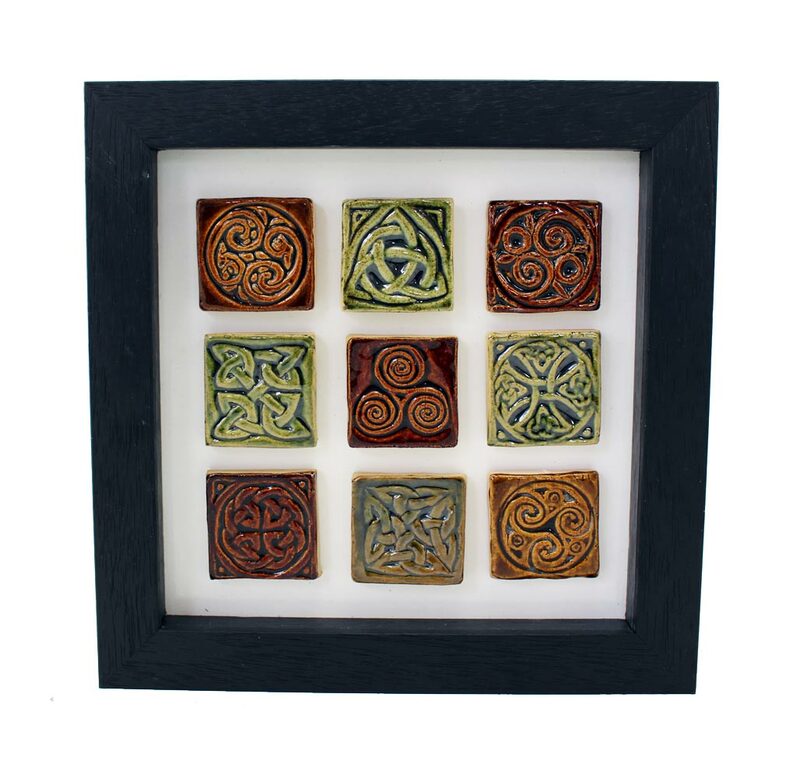 The Dara knot, the name Dara comes from the Irish word ‘doire’, which means oak tree. 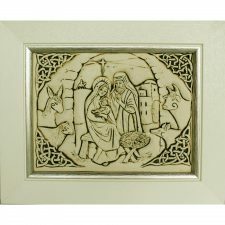 The trees were sacred to the Celts (especially the Druids). The oak was considered to be the king of the trees, revered for its longevity. 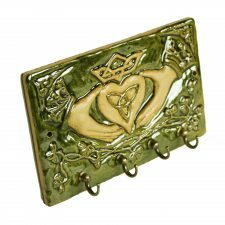 It is the tree of life, with an impressive root system and leaves that reach the sky. 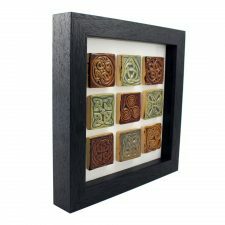 Beautiful gifts handmade in Ireland.